Surveillance footage shows the moment a bus driver was pinned against as a pole as he desperately tried to stop a bus from rolling down a hill. Erica Byfield reports. An MTA bus driver is in critical condition after his bus began rolling out of control toward a cemetery and he tried to jump aboard to stop it, according to his union. The driver, identified by his union at Kalib Oliver, was due to have surgery Tuesday afternoon for a punctured lung, broken arm and broken leg. The union said he had been driving for more than a decade. Oliver parked his bus near a Queens cemetery in the early hours of Tuesday morning in order to take a break, but as he walked away the bus started rolling away. The driver jumped on the side of the bus and tried to force the passenger door open, but was crushed against a light pole as the bus rolled past. According to the MTA, the M Shuttle bus driver failed to secure the emergency brake, which is why the bus rolled backwards. 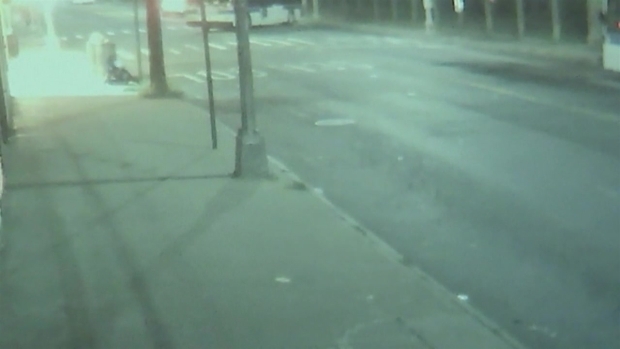 He broke his arm when he got wedged between a light pole and the bus as he tried to stop the vehicle. 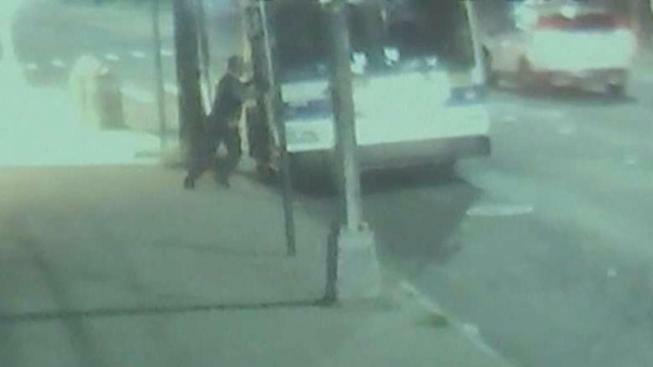 MTA authorities didn't mention the lung or leg issues the union said the driver also suffered. Surveillance footage shows the moment a bus driver was pinned against as a pole as he desperately tried to stop a bus from rolling down a hill. According to the union, a second driver saw what was happening and managed to pull the runaway bus' emergency brake. In June, a runaway MTA bus rolled for blocks down a Brooklyn street, hitting nearly a dozen parked cars and a church.